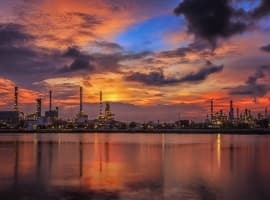 A Tampa, Florida based options trading firm, OptionSellers, went dark this weekend after it informed its clients of a “catastrophic loss event,” resulting from a short squeeze on the natural gas market, ZeroHedge reports, citing parts of the letter. The market obviously had no mercy for traders shorting natural gas; last week, on Wednesday, natural gas shot up 18 percent to the highest since 2014, on the back of forecasts about cold weather that drove traders into a frenzy as they bought more gas to cover their short positions, probably opened on reports of ample supply in the United States. Cold weather this time of the year is hardly a surprising piece of information, but it somehow managed to surprise traders betting on a price fall in natural gas. Since the start of the month, according to CNBC, natural gas has gained as much as 48 percent, and according to CME Group, trade in the commodity on Wednesday hit an all-time high of 1.2 million contracts. The supply worry is understandable. 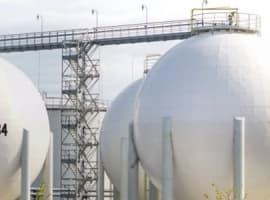 The grounds for it are EIA reports of low stockpiles, although both stockpiles and production have been on the rise: last week the authority reported that gas in storage had risen by 39 billion cu ft to 3.247 trillion cu ft in the week to November 9. Indeed this is below the five-year average of 3.848 trillion cu ft and below the level of storage this time last year, when it stood at 3.775 trillion cu ft of gas. In this context, one analyst last week told CNBC that natural gas could soar from the current level of about US$4.6 per million British thermal units to as much as US$7 or even US$8 per mmBtu if the weather forecasts turn out to be true and the winter is colder than previously expected. No sympathy for the Shorts. Just sold for a 50% profit. No sympathy for shorts. Serves 'em right. The idiots bought the global warming myth, then winter was predicted (and BTW the sun will rise tomorrow). Every other nation is buying NG and you wonder why. The five scariest words in the markets are: This time things are different. in the past, we did not really know for sure where to drill for more natural gas and prices went crazy.. Now, we know exactly where it is and where it will be for next 100 years.. the only question is whether we really bother to drill enough for the near term or not.. or more specifically.. frack... it..
Had a great big smile on my face while reading this article. Hopefully more of the db shorts go down in the coming days. Boston imports Russian LNG because the Jones Act prevents shipping from the Gulf. 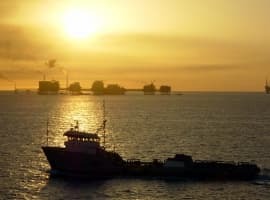 The gas pipeline from the Gulf Coast to Tennessee to the Northeast is being reversed to supply LNG exports from the Gulf. Repeal the Jones Act or build more pipelines. I just looked at the 11/15/18 NG storage data. Weekly storage data...down 17.2% in one year. 3,733 to 3,113. Compared to average... down 18.6% ********* 3,823 to 3,113. Consumption exceeds production during the last week and during the year. Also of note in Europe the Russian NG pipelines are working at full capacity.